In a Jan. 6 letter to McCulloch, Roy Crabtree, administrator for NOAA Fisheries' southeast region, referred to McCulloch's actions as "egregious violations." 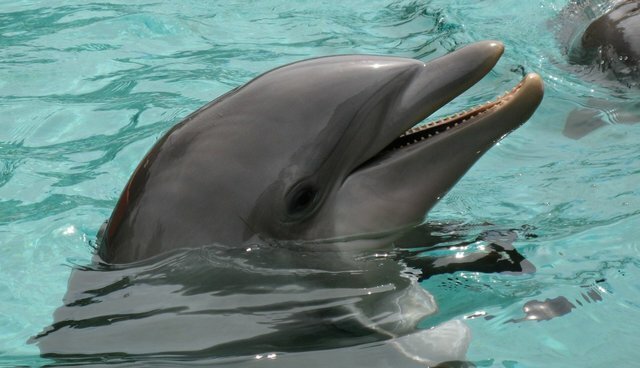 According to the letter, the dolphin showed signs of morbillivirus, a measles-like virus responsible for almost 200 recent dolphin deaths from New York to Florida. Although there are no known cases of dolphins spreading the virus to humans, dolphins with morbillivirus can get secondary infections that can be spread to people. Chlorine only kills certain pathogens, depending on the strength of the chemical, NOAA officials said. McCulloch is the founder and program manager of the Harbor Branch Oceanographic Institute (HBOI) of Florida Atlantic University (FAU). NOAA officials say that the dolphin, which was later euthanized at a veterinary clinic, should have been moved to an approved pool -- one where the dolphin would not be exposed to chlorine, and where humans don't swim and therefore could not contract morbillivirus from the contaminated water. According to the World Society for the Protection of Animals, chlorine can be poisonous to dolphins, causing eye problems and skin irritation at low levels and even worse symptoms at higher levels. FAU said in a statement that McCulloch is no longer employed at the research institute. "...The employee responsible for these actions is no longer involved with HBOI's stranding network activities. We will take all further necessary measures to help ensure we remain an active member of the stranding network so that we can continue the important work of helping marine mammals."